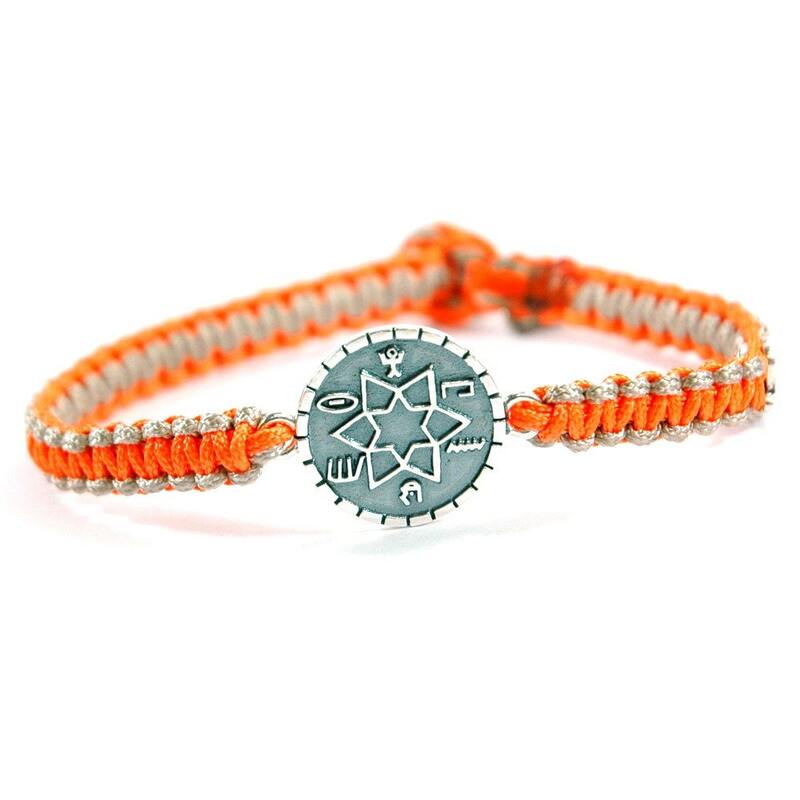 Unisex high durability parachute chord 8" long and 0.3" wide macrame bracelet in camel and orange, with a solid 925 Sterling Silver SUCCESS & PROSPERITY amulet (0.8" diameter), with Silver M signature bead. The closure is a button closure available in various sizes. 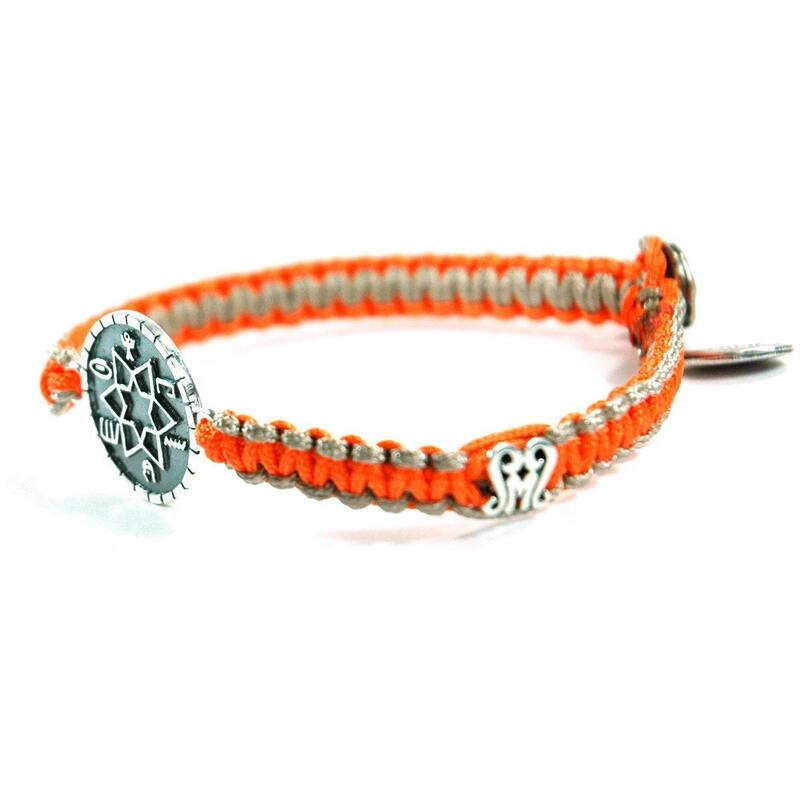 Waterproof and solid bracelet. Custom Made. 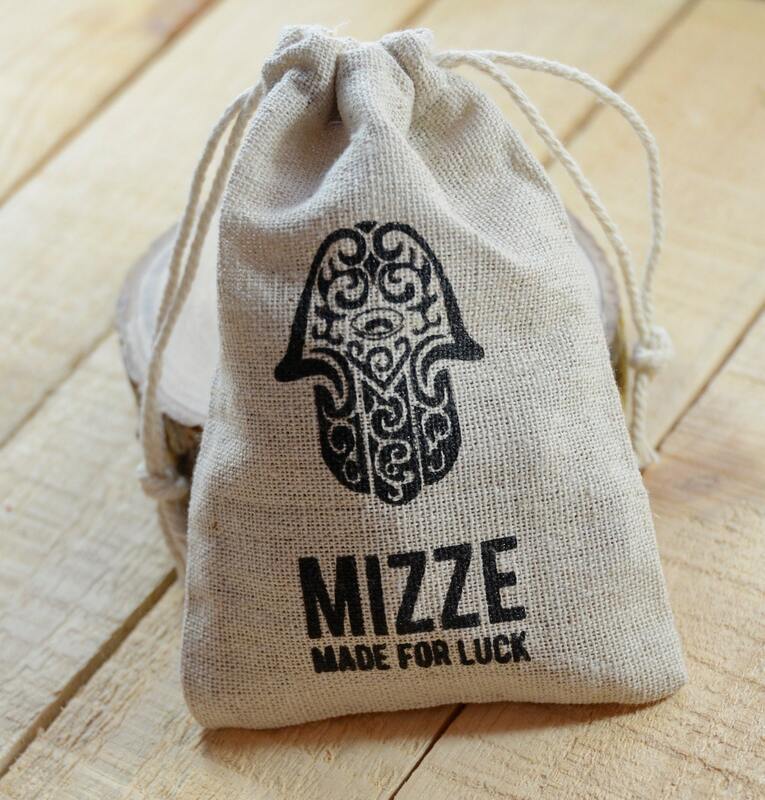 The MIZZE amulets are written in texts based on the Old Testament, Book of psalms, mystical Book of Creation (Kabbalah) and ancient prayers from different religions. The characters used in the amulets are Phoenician and Canaanite (2900 years old) keeping with the period in which they were first made. Each of our amulets are targeted towards one main focus point, hope, dream or wish that we face in our fast moving, modern life. Wearing the amulets is all about keeping your mind focused and providing attention to something other than daily survival. Sort of like placing a rubber band on your wrist, or writing on your hand to remind you of something that is important to you. Our featured series includes five primary amulets: Health, Success and Prosperity, Opportunities, Love and Protection. Each of the amulets is available in 925 Sterling Silver, or Brass. 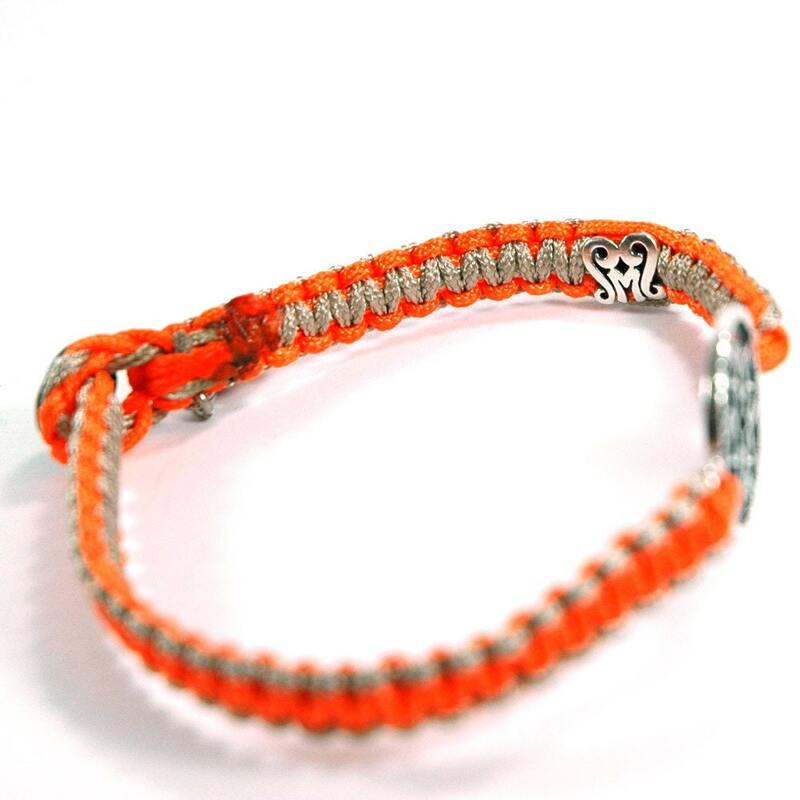 The bracelets are made with our signature macrame bracelet weaves and using top quality parachute chord for durability. 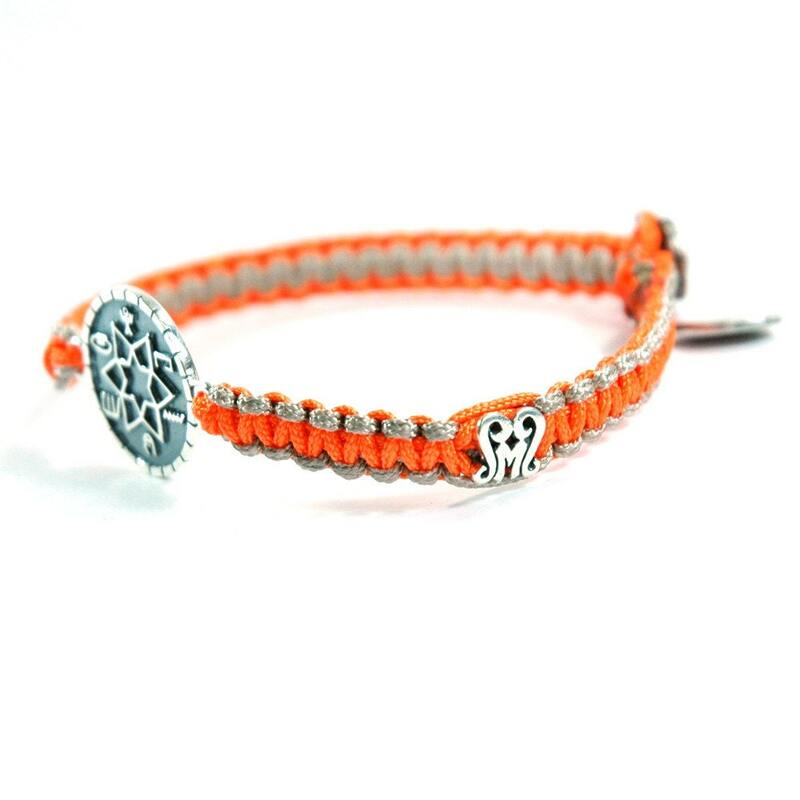 Making sure they stay on your wrist through this busy life we all seem to have.